Migrants on guestworker visas are constrained by the border on one side and their boss on the other. America just rolled out a welcome mat for a group of very special guests. Tens of thousands more immigrants will be invited to work temporary stints in low-wage industries like housekeeping and landscaping, and their “guest treatment” typically consists of being paid less, treated worse, and having fewer rights than their US-based counterparts. 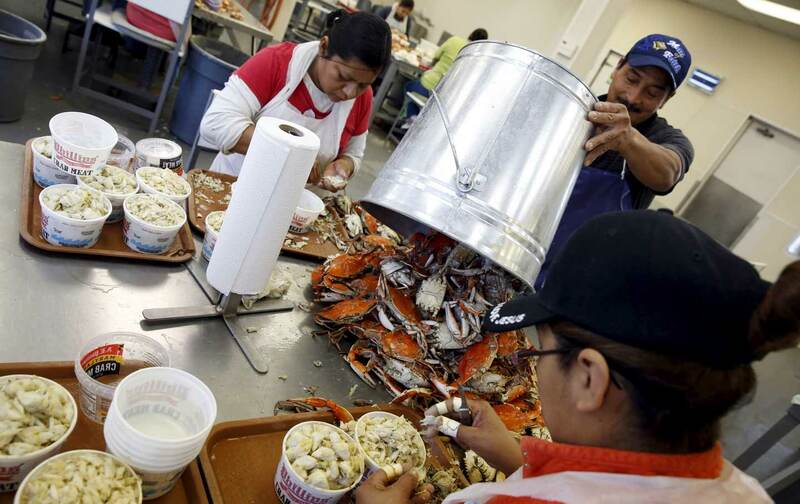 According to a new report by the Economic Policy Institute (EPI), the guestworker labor force provides US employers jobs on the cheap, offering less in wages and virtually nothing in terms of labor rights or benefits. This is not the standard protectionist argument about immigrants’ “taking jobs,” it’s about inequality being baked into a contract system that grants legal status in exchange for rights. In a sense, contracted guestworkers are less free than undocumented workers who can at least try to switch employers. As a recent NPR story on agricultural guestworkers points out, despite the dangers of living in the country without papers, undocumented workers at least have relative autonomy (albeit without any legal protections) to try to escape an abusive boss and reenter the underground labor market. Besides, while EPI cites differential wages in federal records, what workers are actually paid is another matter, particularly if they are employed through fly-by-night staffing agencies that contract them out to brand-name firms, while further removing migrants from any control over their working conditions. A civil suit recently brought by a group of Jamaican H-2B guestworkers charges the Kiawah Golf Resorts in South Carolina with systematic wage theft, alleging that the resort violated the Fair Labor Standards Act and never paid the mandated wage set under the program’s guidelines, … in part to various travel costs and fees imposed on the workers as a condition of their employment. Some workers had allegedly been underpaid by as much as $2.20 per hour. They were working as housekeepers, servers, and bell persons for patrons who paid up to $1,000 per night for their lavish service. Yet the economic pull for migration remains, and workers will come with or without papers. The other side of the story of migrant desperation is even more tragic: the vast numbers of unauthorized low-wage workers the government banishes each day. They represent a different kind of legal victimization. Both groups, ironically, fear the threat of getting deported for breaking rules that are rigged against them. With their basic freedom of movement constrained by the border on one side and their boss on the other, they are always criminalized in an economy that treats its guests like trespassers.